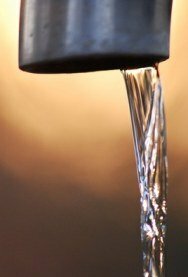 What is in tap water --- other than water? Learn about the tap water chemicals that are added to YOUR water. Tap water is a convenient and wonderful commodity. However, you may want to know what is in tap water before you drink it. For your best wellness, you may want to filter your tap water before you drink it. We all know that chlorine is in tap water. Chlorine is added as a disinfectant to kill bacteria and other things that can make us sick, but chlorine is a chemical— a disinfectant. Do you really want to drink water with disinfectant added? If you do, here is a partial list of some other things in tap water that the water treatment facilities may not have been able to either kill or remove. You may not really want to put these into your body. - Pharmaceuticals (prescription drugs) excreted from urine. - Agricultural pollutants such as herbicides, insecticides and rodenticides. These can cause disorders of the liver, heart, kidneys, blood and nervous system. - Heavy metals such as lead and mercury. - Trihalomethanes (THMs) – A potential carcinogenic by-product of chlorine. - Dirt and sand from soil runoff. - Microbial cysts – May cause gastrointestinal illness such as diarrhea, stomach cramps and nausea. - Industrial pollutants such as benzene— linked to cancer. What to know what is in your tap water? Follow this link to get an idea of how pure or impure the tap water is in your area. Bottled water may not be a safe and clean alternative to tap water. Many times bottled water is simply packaged tap water. This video is a news report that gives more startling information about bottled water. The best water to drink is home-filtered water. When you “home-filter” your water, you know that you are doing all you can to give yourself and your family only the purest and cleanest water. Possibly the best water filtration systems are made by Aquasana. Aquasan offers a 20% discount to YOU (since you read this website). So once you know what toxins lurk in YOUR tap water, use the 20% discount from Aquasana and get it out!